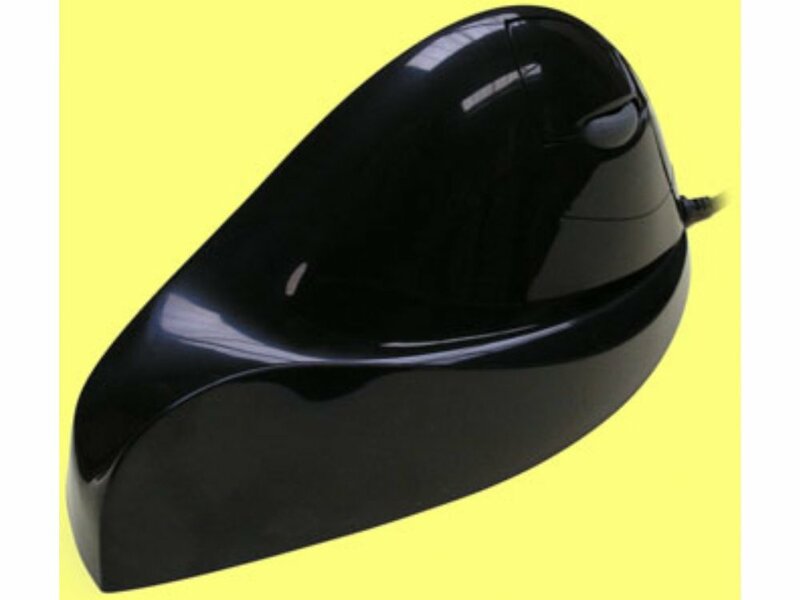 The Ergonomic E-Quill-AirO2bic Mouse is a popular new model based on the 'Vertical' mouse design. 'Functionally Neutral' it gives a working posture that allows muscles that are impaired, or are at risk of impairment to be kept at rest (Neutral), but still allow you to work with your mouse (Function) in the same way you have always done. No need to grip the mouse. Grip is now known to lead to the circumstances that can cause repetitive motion injuries when computer mice are used extensively. Even small amounts of grip cause muscle tension that can reduce oxygen levels in the hand. The E-Quill-AirO2bic' Mouse patented Gripless Mouse Technology removes constant muscle tension required by gripping so can help to maintain aerobic conditions in your mousing hand. Available with the E-Quill-Liberator - Nib' & McNib' Clickless Software at a special bundle price. Package contents: mouse, operator guide, companion CD and DEMO version of the E-Quill-Liberator - Nib' & McNib' Clickless Software.